Hillsdale is metic­ulous when it comes to water quality. Two dif­ferent orga­ni­za­tions help ensure water is clean in Hillsdale and the sur­rounding areas. 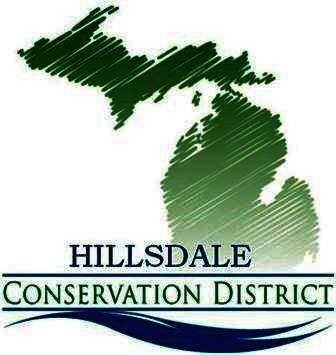 While the City of Hillsdale Board of Public Util­ities actively mon­itors quality at water treatment plants, the Hillsdale Con­ser­vation Dis­trict pro­vides resources for landowners whose houses run off well water. The Con­ser­vation Dis­trict held a well water testing event a few weeks ago. The primary water source for the county is well water. Well depth depends on its location, as the glaciers formed the water tables in dif­ferent parts of the county and state dif­fer­ently. A typical Hillsdale well is often between 15 and 80 ft deep. The dis­trict tests the water for nitrogen com­pounds. 10 ppm of Nitrogen in water is con­sidered unsafe. The Con­ser­vation Dis­trict is able to test up to 50 ppm. If water tests pos­itive for 5 ppm or more, the dis­trict gives the home­owner a warning and the option to send the water to a lab for testing. If certain water from a well were to test poorly, it’s up to the landowner to decide what they’d like to do about it. Dauer said that unless the water has a funny odor or color, the owners will usually keep the well as drilling a new one is expensive. As to whether well water is safer than water from the water treatment plant or vice versa, Dauer says it comes down to per­sonal pref­erence. Water from water treatment plants, which is where Hillsdale city water comes from, has flu­oride and chlorine added to it. The average con­cen­tration of water in the city of Hillsdale in 2017 was .49 ppm. Briggs said there must also be enough chlorine in the water. According to the 2017 Con­sumer Con­fi­dence Report from the Hillsdale Board of Public Util­ities, Hillsdale city water meets all state and federal stan­dards for water quality. Emereging science shows that ingested flu­oride, neither a nutreint nor essential, is health-harming and inef­fective at reducing tooth decay making flu­o­ri­dation a waste of money at least and deadly at worst http://fluorideaction.net/researchers/professionals-statement/text Pol­itics, not science, keeps flu­o­ri­dation alfoat. It’s time to sink it.